“Mr Speaker, my question was…” Jeremy Corbyn found himself repeating his enquiries rather a lot today as Theresa May was unable to cope with the claims of a sweetheart deal between a Tory council leader an aide in Sajid Javid’s government department. Corbyn had been passed leaked text messages from David Hodge, the leader of Surrey council, and an advisor in the department for Communities and Local Government, which appeared to suggest a generous deal was done which had persuaded the local authority against going ahead with a referendum on whether to raise council tax by a whopping 15 per cent. The council, like many up and down the country, is facing a social care crisis, and so was considering a residents’ vote on increasing the rates – the government’s suggested way to raise funds – which was mysteriously called off. The evidence Corbyn has seen suggested this might have something to do with an offer of more money from Whitehall. It was a traditional PMQs ambush beloved by leaders of the Opposition over the years and allowed Corbyn to demand May “comes clean”. Interestingly, when he asked if other councils might have access to this, all May could do was repeat the line that they could choose to raise their local levy. That’s not quite the same though is it, Mrs May? Indeed, when it was pointed out that the chancellor Philip Hammond and health secretary Jeremy Hunt both represent constituencies in Surrey, this too was ignored by the prime minister. I can’t imagine why. At the beginning of the session, Corbyn set the tone for with a question on hospital overcrowding. May’s response was bizarre, and part of a pattern that she seems to repeat. She said: “can I begin by thanking the hard working NHS staff…”. Yes, you may begin like that prime minister, but it seems irrelevant how hard working a person is or isn’t when their profession is under such a phenomenal amount of pressure that they are unable to cope. Corbyn responded: “Congratulating NHS staff is one thing, paying them properly is another”. Quite. There was a moving question from Ronnie Campbell, the member for Blyth Valley, who was back on the Commons benches and after his own treatment for cancer. He was full of praise for NHS staff but highlighted the pressures which mean there are now “corridor nurses” who spend a vast amount of their time caring for patients outside wards. The response from the prime minister, whilst friendly and polite, was piecemeal. She said that the best practice of Newcastle and the North East needs to be extended across the country. This is hardly the point. You can’t magic extra beds, or more nurses, or new consultants out of thin air just with good use of “best practice”. Sometimes you need money rather than management speak. Former leadership challengers Liz Kendall, Owen Smith and Angela Eagle all laid in to the PM over her switch on the Commons vote on Brexit. Kendall labelled the move a “con”, hours after Keir Starmer hailed a partial “concession” on LabourList this morning. Starmer has a point but so do the backbenchers, who were more critical and fear that a vote to choose between a Brexit deal negotiated by the government, or falling back on World Trade Organisation rules, could end up harming the economy, and be no deal at all. Smith quoted that leaving the EU, only to fall back on WTO rules could cost the economy £9bn a year. May’s response was that she’ll get the best deal for the country. Somehow I’m not convinced. The similar lines of approach on a handful of core topics – the Brexit deal and the NHS crisis – was another positive sign. 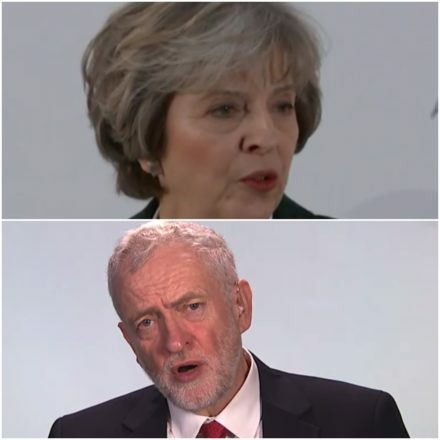 The highest pressure is exerted when it is made hard for May to duck and weave – and when it can be pointed out that she is dodging. It makes more of an impact then a scattergun approach. Overall, this was one of Corbyn’s slickest PMQs to date, with his opponent floundering, and unable to provide any meaningful answers. When the Labour leader sticks to his guns and uses the evidence he can score a decisive win.